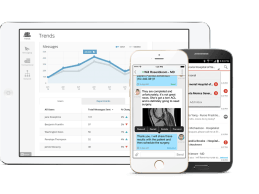 TigerText, the leading secure messaging platform provider for the healthcare industry, has announced the launch of Tigerflow: A new enterprise-wide clinical communications platform for healthcare providers. TigerFlow has been developed to help healthcare organizations streamline communications with care teams and provide physicians, nurses, and support staff with easy access to actionable information through a single mobile-friendly ecosystem. The workflow-centric platform has data integration capabilities allowing information that would normally only be accessible through disparate workstations to be accessed by a wide range of healthcare professionals through their mobile devices, naturally with appropriate access controls to ensure only individuals authorized to view the information are granted access. The new platform incorporates a range of functions designed to accelerate adoption, reduce operational costs, raise productivity of the workforce and improve patient outcomes. The platform can integrate with clinical electronic medical record systems and features intelligent workflow mapping to improve care-team coordination. 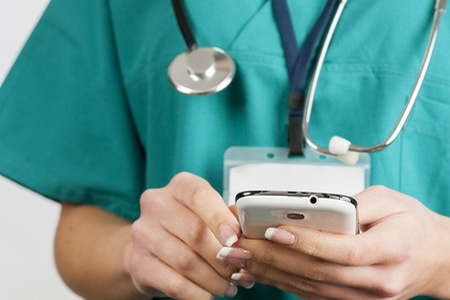 Any healthcare communications system must have the ability to be able to connect to third party applications and systems, including the legacy systems used by a large number of healthcare systems in the United States. TigerText has developed a number of strategic partnerships to ensure applications and systems can integrate seamlessly with TigerFlow. The TigerFlow platform can incorporate clinical information, EHR alerts, medical images, ADT, and lab test results. The platform includes a paging and answering service and integrates seamlessly with nurse call systems. Effective integration allows healthcare organizations to extract additional value from high-cost solutions that currently act as barriers to the provision of real time information. Over the past six years TigerText has listened closely to the communications needs and requirements of healthcare professionals and has developed the platform to meet their individual needs. The platform can be used to improve communication and collaboration, and allows physicians, nurses, and support workers to reclaim the many hours that are currently wasted on outdated communications systems. The new platform incorporates a Roles module, which allows users to identify and communicate with on-call specialists without referencing computers or work schedules. The feature eliminates calls to off-duty staff members, speeds up communication, and improves the coordination of shift assignments and care transitions. The platform also allows users to create care teams around individual patients or rooms making patient handoffs much easier. New members have immediate access to discussions that have previously taken place between other members of the care team, ensuring no important information is missed. An embedded click to call function allows users to instantly initiate a phone call to colleagues with a single click, with privacy controls to shield phone numbers, as is preferred by physicians. The usefulness of any system is limited by adoption. In order to realize the full benefits of the platform, healthcare organizations must ensure that the maximum number of staff members use the system. To accelerate adoption, TigerFlow incorporates a range of analytics and tracking information which can be used by customers to monitor usage by role and department and identify areas for improvement.